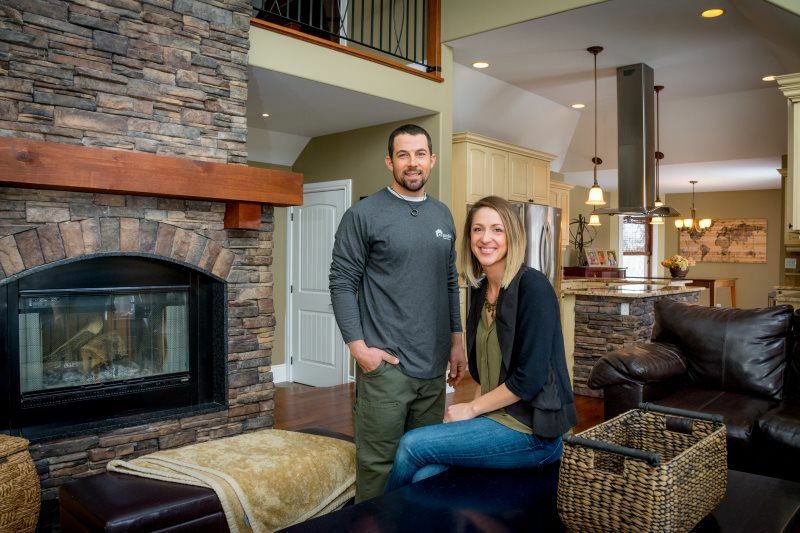 From the age of four, Marc-Antoine Charette knew a career in homebuilding was in his future. But what he didn’t know was that his passion for building, coupled with an entrepreneurial vision, would bring such gratification to the owners of the custom homes he builds. For the past 15 years, Marc-Antoine Charette (Marc) has been forging his own path in the competitive construction industry. With every project he’s worked on, his reputation as a reliable and gifted homebuilder has increased. The couple also takes great pride in the fact that no two builds are the same — ever. They are unwavering on this. “Every client or family that moves into their home is guaranteed a skillfully crafted home with the knowledge that it is uniquely theirs,” says Crystal. There is something wonderful about that. There’s no doubt the entire team of employees at Charette Custom Homes and the carefully chosen sub-contractors take great pride in every home they build — and with a limited number of builds per year, quality is uncompromised. “In limiting the number of builds we do, we know we have superior quality control, and that’s what ensures our clients’ happiness,” explains Crystal, a certified interior decorator. Crystal’s superb interior decorating services come standard with each custom home. “I want to offer my knowledge on any item they would like assistance with,” she says. “If they would like me to meet with them to design the kitchen, or help them choose. Whatever your dream may be, Marc and Crystal Charette promise you a home to be proud of. Your satisfaction is their trademark. Come home to quality with Charette Custom Homes.